The advanced stage of discipleship is where the mature Christian is refined over a longer period of time. When has one entered the advanced discipleship stage of Christian living? It is hard to tell. The one thing for sure is that not enough Christians have reached that stage! John compares them to the father. The father is mature. He is a leader and works with other younger ones so that they can be protected, guided and properly cared for. These spiritual fathers still have a constant need for growth just like the younger ones. This growth might not be very visible from the outward. Their battles are often on a deeper level causing their spiritual roots to grow deeper as they grow closer to God. Everyone who has been a Christian over five to seven years should be in this advanced stage of discipleship. The things that mark off fathers from children is their having wrestled and gained victory over various personal struggles by God's Word and found God ultimately faithful, good, holy and loving. The fathers, by no means, have bypassed temptation but instead have gained a special faith that gives discernment and comfort in difficult times. The storm might rage on the surface of the sea, but deep down everything is the same. The father is also a father because he has his own children. If a Christian is not yet bearing significant fruit, then he or she is not yet at this stage. The mature Christian bears fruit. We should not think of this fruit simply as new Christians. This fruit will show itself in the ways it strengthens others in numerous areas of life: more Christlikeness, serving others to help them grow, use of their spiritual gifts to equip the body of Christ, careful stewardship of the possessions, protection from false teachings, sharing insights from God’s Word, leadership decisions and comfort to those who are experiencing difficulties. These fathers have experienced trials in their pasts and, through this experience, know how to comfort others. In a spiritual sense, we should look for much blessing on our ministry at this stage. Although the advanced stage is the last stage mentioned by John, a Christian never graduates from it. God is the Eternal unsearchable One. Our joy is to always grow in our knowledge and service of Him. God would like to equip all His children to reach this stage. We should not think it as being exclusive to a few Christians such as the leaders of the church. Just as we normally expect boys to be fathers one day, so we should expect that every young Christian man will become a godly Christian leader. Please remember that this stage is not limited to men even though John uses the term 'fathers.' The scriptures have, however, set the context in which women grow and lead. They lead other women and help in the training of children (Titus 2:3-5). Perhaps a few words need to be said about spiritual leadership as it is so closely tied to this stage. The advanced discipleship stage is interconnected to leadership, service and ministry. In one sense, everyone at this stage is a leader. A father leads his family. A mother trains younger women. In the church context, the man is to train and produce productive Christians. Full-time pastors are equippers. Whatever the person is busy doing, individuals at this stage are those you like to be near when they speak and pray. Elder John understood spiritual leadership. He described the mature Christian as a father (1 John 2:13-14). Every father should be in this advanced stage. The things that mark off fathers from children is their having wrestled and gained victory over various personal struggles by God's Word and found God ultimately faithful, good, holy and loving. The fathers have by no means bypassed temptation but have instead entered a special faith that gives discernment and comfort in difficult times. The storm might rage on the surface of the sea, but deep down everything is the same. Once when presenting a discipleship seminar in an Asian country, I introduced the three stages of discipleship. I asked the attendees to help me think through those they knew who were in full-time ministry or preparing for it. This was my question, “Were these leaders or leaders-to-be in the intermediate or advances stage of Christian living? To their chagrin, they saw that the majority of these individuals were still in the intermediate stage. They were still battling on how to overcome personal sins and maintain good personal relationships. Some major work had yet to be done in their spiritual lives. These Christian leaders could instantly see why there were so many problems and strife in their churches. The reason there are so many problems in the churches today is because the spiritual lives of these Christian leaders have not been properly cultivated. We think the solution is to take more classes or obtain a higher degree. But from the scriptures, it is clear that those pursuing leadership and wanting to teach His people should have already overcome many of these personal problems at the intermediate stage. We are not speaking of a person’s physical age, here. Even the young can speed ahead in knowing God and cleansing their lives from all sorts of sins for use by the Master. I recently had a great conversation with a pastor. He stated that our spiritual lives are like a well. The well is the life waters (symbolic of the Holy Spirit) for all the needs of our spiritual life. There is plenty of water for what one needs. But as we meet different things in life, we begin to note that the waters are insufficient. God's living waters are sufficient, but we need to go deeper to reach the portion of water that we need to be protected from drying up. In other words, we need to keep growing in our knowledge and love for God. This is the goal of the spiritual father. The scriptures have, however, set the context in which the women lead. They lead other women and help in the training of children. Biblical Foundations for Freedom (BFF) has a lot of materials discussing discipleship at the basic stage, intermediate stage and advanced levels. 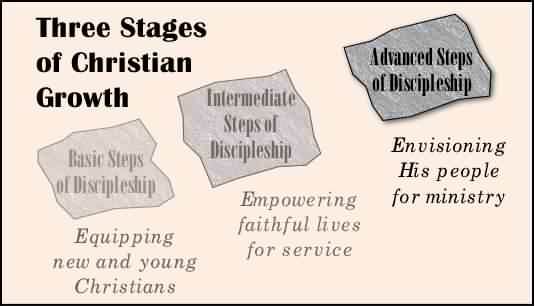 We even have a diagram that shows the flow of discipleship from one stage to another. BFF has provided many sets of advanced discipleship materials as well as many individual articles to help the mature Christian to keep on growing. The spiritual growing process should never stop. These materials are geared to help mature Christian step deeper into fellowship with God, to explore more how God's holiness ought to impact personal lives and how they can more skillfully minister to others. This is explained more thoroughly in the ADT seminar below. This stage's articles are very relevant to those going into full-time ministry or serving in some kind of leadership capacity in the Christian church. These articles not only help articulate what it means to go into full-time ministry but on how to reach that point. We have briefly introduced many of our advanced discipleship materials below. Or if you are interested in reading more about discipleship go to the directory at the bottom of the page. Advanced Discipleship Training provides different Christian leadership materials at different levels. Firstly, it explains how training can be more effectively and efficiently done than through the conventional seminary models. Careful explanation of how the needed training is accomplished. Although everyone at this stage is interested in growing more, those with greater visible leadership responsibilities have special concerns. They need to know not only how to nurture themselves but others. We have summarized this growth, quite distinctively from a typical Christian training institution that focuses on knowledge. (1) Shaping the heart. We want to have our affections fully like Christ's. (2) Supplying skills and vision. We want to serve others like Christ did. (3) Seeking Him in His Word. We want to get to know God and this world like Christ did. Advanced Discipleship Training (ADT) also provides a suggested curriculum by which one can train others. We have some suggested models but also suggest that one create one's own by intermixing and developing one's materials. Biblical Foundations for Freedom integrates heart, hand and head material together. The materials are available free of charge. Please adapt and use in your own teachings. Printed and eBooks are available at the BFF Resource Center. Don't be afraid of not knowing where the Bible came from anymore! The help we get from God's Word is directly related to our trust in God's Word. Satan knows this and therefore brings relentless attacks on the reliability of God's Word. The attacks on the Word of God have been increasing each year, whether it be the advancing of the Gnostic texts such as the Gospel of Judah or fictional books like 'The DaVinci's Code.' They, with a host of other critical articles, purposely try to undermine a person's trust in God's Word. The scriptures, however, are very reliable. I always tell people that if you have any doubts, study more of its origins. Some people are afraid of studying the origins of the Bible because it might not be true. Don't worry. It is a pity that most Christians have no idea on how the scriptures were handed down to us. The Origins of the Bible is a mini-series on helping the Christian know why the Bible is fully reliable. Many topics are discussed in layman's terms including the actual texts (manuscripts) used, the way the Bible was formed into a canon or issues such as inspiration and the plethora of Bible versions. Biblical Foundations for Freedom offers this nine-part series on the web for free. If anyone would like an e-book version or printed copy, they can be found at the BFF Resource Center. If you want to understand discipleship, you must understand The Flow. The Flow is one of the most powerful insights into the way a church grows. This series can be readily understood and easily applied to any church or individual Christian. Its power is found in its ability to understand the dynamic process of Christian growth in light of the whole purpose of growth. Each of the three stages of Christian life can be quickly understood and evaluated. Each Christian can 'instantly' see where they fit in to God's overall purpose. They can easily see how they should be growing and through what means they need to grow. Problems become easily identifiable. This path helps us see how to explain Christians are readied for leadership in the church. This concept is built on a few key Biblical passages and thoroughly practical to the local church and evaluating curriculum. It helps point to where we should be going (vision), where we are (analysis) and where we have been (history). Biblical Foundations for Freedom has provided two free main presentations for The Flow. The slideshow presents The Flow through individual slides, each with its own explanation. The Flow Explained is an extended series of articles that explain The Flow's Biblical basis as well as give explanation on how to use it in the church. Home Visitation with a Purpose applies these thoughts to how visits with individuals can be more productive. These can be read in eBook form from the BFF Discipleship Library or ordered at the BFF Resource Center. When God touches a man's life. 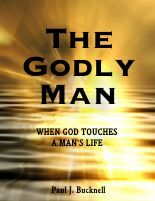 What happens when God impacts a man's life? Holiness is the word that best describes what happens when man begins to be shaped by God's person and plan. But the question is, "How do we actually reach that intimacy with God so that our lives can be thoroughly changed?" The Godly Man was designed for those who desire to be serious with God. They really want to grow. These articles do their best serving as a distant mentor. This comprehensive series centers around ten topics like the fear of God, righteousness, pure heart and waiting upon God. Each topic is a series on its own. For growth to be effective, it needs to be deliberate. These articles are thoroughly Biblical, practical and theological. Biblical Foundations for Freedom now offers these materials in printed format or you can read them more conveniently in ebook form at the BFF Resource Center. As with all BFF materials, they can be adapted, printed out and used for a class. 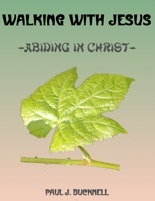 Learn how to walk with Jesus. Every day becomes an awesome journey filled with tears and joy. Many Christians have never grown up into the full likeness of Jesus. This is especially true in the way that they live out their lives. No one has taught them how Jesus leads them in their daily walk. The scriptures have become old and stale rather than new and exciting. This is a real-life series of twenty life-changing episodes. Although Walking with Jesus shows us how Biblical mediation works and what it is to practically abide in Christ, they are pictures of how God changed one person day by day when he dared to walk with Jesus. The hope of this series is that those who read are the ones who actually begin to abide in Christ and find the fullness of Christ in us. Biblical Foundations for Freedom offers these materials on the web. 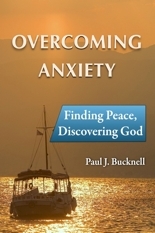 An eBook or printed version is available at the BFF Resource Center. Now you don't have to be afraid of training your own leaders! The reason churches lack leaders is that they do not train them. Although the church wants good leaders, they themselves are the biggest obstacles to producing them. Either they lack vision, skill, proper theology or character. Training Up New Leaders takes the mystery out of the process. 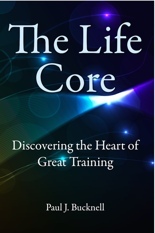 We carefully go over the main areas of training that is needed and show how one can discern and help them grow. Don't be afraid of those going into full-time ministry anymore. Or if you yourself are 'called' into full-time ministry, we would like to clarify what this means. The good thing is that God is involved in your lives. He will work through you on each different level. We never need to be afraid of our inadequacies. If He calls, then He will train. Trust Him! Biblical Foundations for Freedom offers these two free series Training Up New Leaders and Taking the Next Step Towards Full-time Ministry. Together they provide a comprehensive look at training leaders for the ministry. 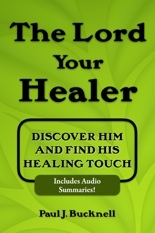 Take a look in the BFF Resource Center if you are interested in this series in printed or eBook format. Learn all about those hidden things that should be uncovered. The New Age fads intermixed in a materialistic age are bringing in more and more confusion into spiritual matters. These people often pretend to know a lot about these matters but in fact know very little. These articles show what one should believe about the 'dark' world and speak to people having problems with it. 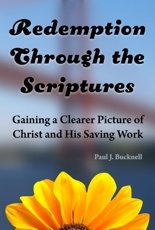 Although it is written in a more popular fashion, the text is thoroughly Biblical and practical. Attention is given to what the Bible says about the world that we cannot see and how we are to interpret different things such as magic, the devil, demon possession and sorcery. We have placed this section in the Advanced Discipleship stage because we need to rightly understand these things if we are going to minister to people around us like Jesus. Biblical Foundations for Freedom offers two free sets of complementary materials to help establish a biblical mindset in dealing with the world of the occult: Understanding the Dark World and Deep Magic and Reality. If you would like to get copies of these materials, please visit our BFF Resource Center. Steps to establish a discipleship relationship with your children. We have spoken on how to raise a godly child elsewhere, but we believe there is one thing still lacking. A father should meet one-on-one with his son and discuss the special things of life. Maybe girls do this more naturally, but many guys need structure to help shape good conversation, especially in our busy age. This Father-Son Discipling mini-series provides all that is needed to get started and continue a good relevant Biblical discussion. Since many fathers are differently trained on Bible study, I (with my son's full knowledge) took our first lessons and shared how they went. This is an excellent time to share your failure and success stories. Biblical Foundations for Freedom offers this material for free. Biblical discernment is a lost art in this world of toleration. Heresies abound in our age. There are those heresies attacking us from the outside. They are like killer viruses and include all sorts of corrupted worldly philosophies. But there are also those that attack from within. They are more like cancers. This series gets it name from Acts 20:28-30. As much as the Bible speaks about love, it also speaks clearly on how we need to discern and protect ourselves from the cults. Christian cults are those religious groups that mask themselves as being Christian but in doctrine and practice deny the Christian faith. 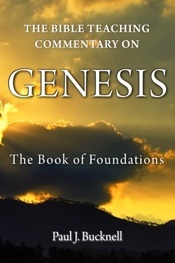 Biblical Foundations for Freedom offers Error from Within, Error from Without for free. Explore it. Numerous cults and heresies are discussed, some briefly while others in depth. With the demise of the family, cell groups have become an important place in the modern society. We answer three questions in this series. 1• What is the purpose of the cell group? 2• What is a properly functioning cell group look like? 3• What are the leaders special role and responsibility? We provide a biblical theology for these small groups that meet in God's presence. Learn the basics through a freee video training on discipleship!